How do I begin to describe my 5 days with Disney on their gorgeous ship, The Dream? Growing up on the west coast of Florida, I’ve gone on my fair share of cruises. Since many ports are close to home, it’s been easy for my family to pack a bag and board a ship for a long weekend or spring break sail. Many of my favorite family vacations took place on cruise ships. 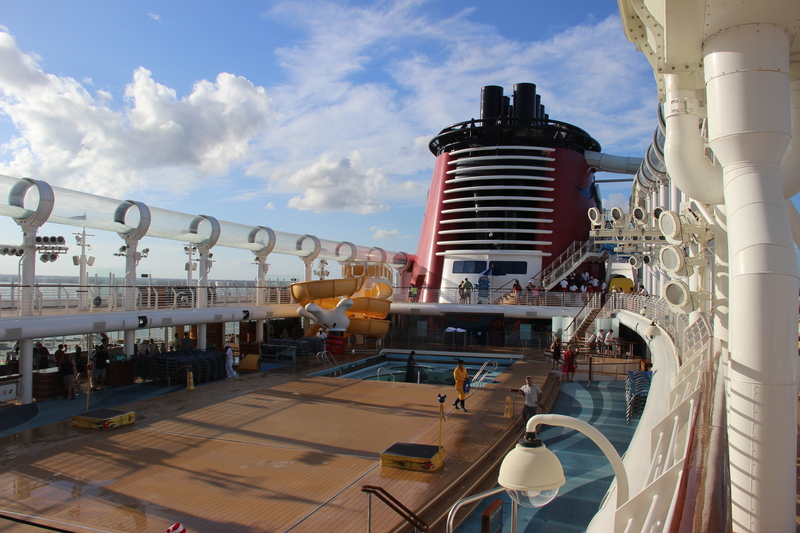 I’ve sailed with the now defunct Big Red Boat, Carnival, Princess, and Celebrity Cruise Lines, and though I’ll remember all of those voyages fondly, nothing really compares to a Disney Cruise. My parents are wonderful and way too generous, and wanted to do something special for my 25th birthday. Limited for time and knowing me and my Disney fixation well, they splurged and booked a 5 day cruise to the Bahamas on the Disney Dream. I found out during my last months of work at Mesa Verde, and literally danced around our basement office in excitement when I got the news. Before I knew it the day had arrived to pack up the car and head to Port Canaveral. Nostalgia aside, no one does entertainment like Disney. From the moment we stepped aboard to our easy, if not sad exit, no word describes our experience better than magic. Disney Cruise Line is the highest rated cruise line sailing today, and I will admit, it comes with a price. It’s not exactly budget travel. But if you’re willing to splurge, you’ll get your money’s worth in every arena. Food, really, is at the center of most cruising experiences, and The Dream was no different. 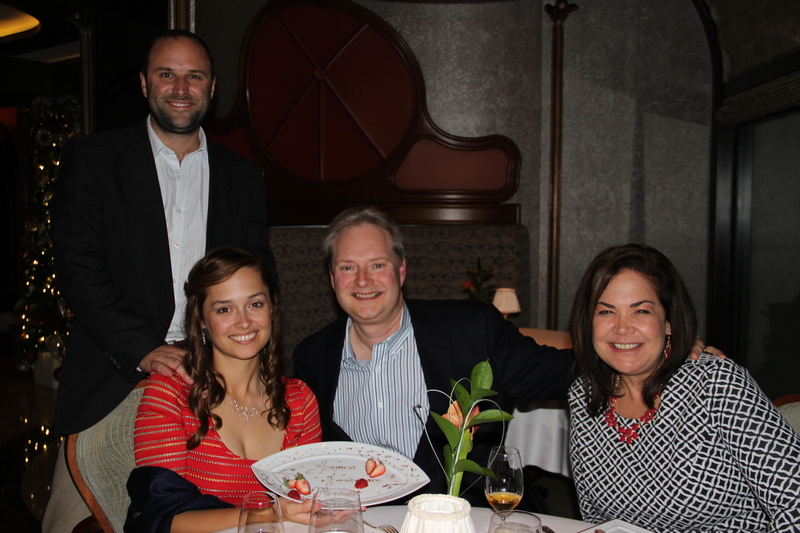 On all Disney Cruise Ships, dinner is served in a different themed dining room each night. On The Dream, our party rotated between grand dining rooms modeled after gardens and ballrooms, and a third area called ‘The Animators Palate,’ where animated characters came to life on the walls and engaged in conversation with diners. While all the food options were great, the highlight of our trip took place at Remy, an adult-only restaurant specializing in upscale French cuisine and based on the movie Ratatouille (because no detail goes without a story when you’re traveling with Disney). In addition to their a la carte options, Remy features two superb tasting menus with 7 courses of sheer delight. We of course chose the tasting menu options and paired our food with a wine tasting that left us all oohing and ahhing. 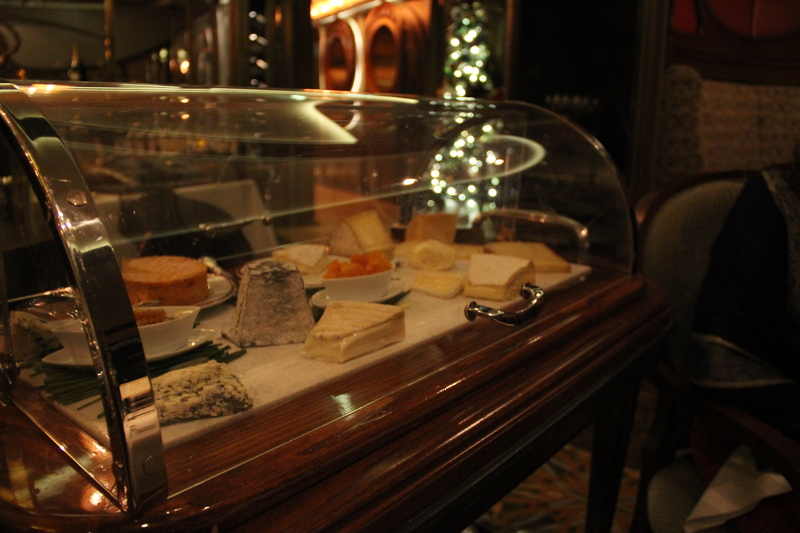 The star of the night was an incredible platter of French cheeses accompanied by a delicious fine port. Our dinner took so long that night that we missed the evening’s show – but it was so worth it. Oh, and did I mention there’s 24 hour room service at no additional charge? 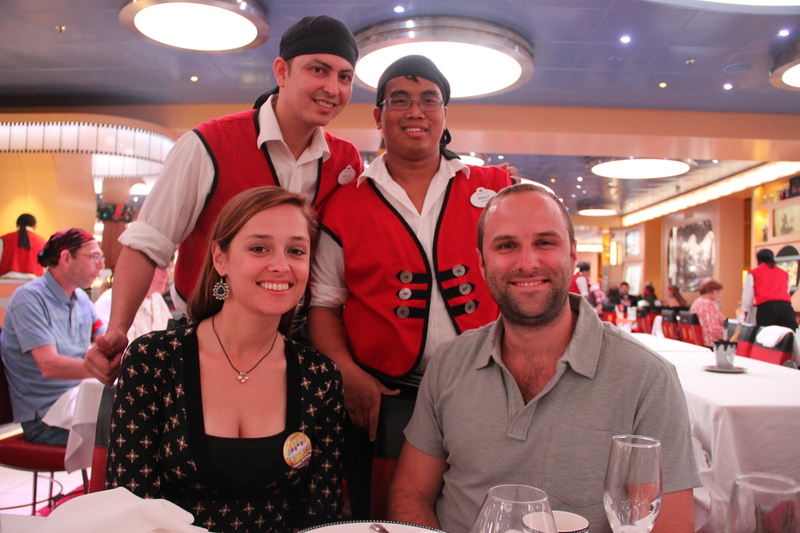 Although we rotated dining rooms, our waiters came with us, and by the end of the trip, we were fondly attached to Marcos and Rhally (pictured with Austin and I above). And the excellent service was not limited to the dining room. Every bartender, steward, and uniformed employee we met was smiling, gracious, helpful, and professional. Traveling with Disney spoils you for almost anything else. Once again a highlight in service was Remy, where we were bid farewell with a personal handshake from our waitress, the sommelier, the host, and the manager. After our meal my mother and I were presented with beautiful roses and my dad and Austin each were given a box of handmade truffles. Whenever anyone left the table their napkin was painstakingly replaced and their chair was pulled out for them upon their return. Who lives like this?? You, when you’re on a Disney Cruise. 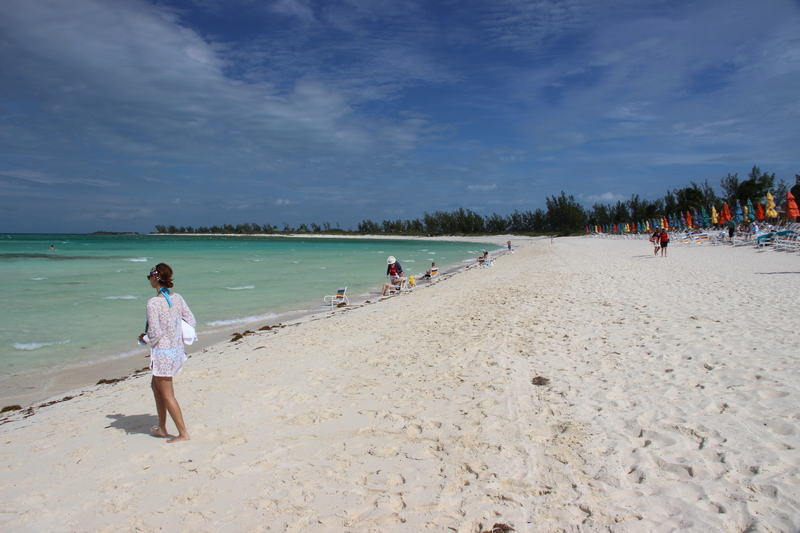 In Nassau we spent a morning on a catamaran and snorkeling through a beautiful, colorful coral reef. When we returned there were still several hours before the ship was to leave port, but I was more than happy to trade exploring the streets of the city for heading back to the boat early. I’ve been on many ships on which I grew bored – especially on days at sea. But on The Dream, Austin and I didn’t have time to do half of what we planned. Activities were happening all over, for all ages, all of the time. Some of the amenities we did have time to enjoy included the spa, the gym, the theater, and of course our large, beautiful, comfortable rooms. Even though Disney markets largely to families, there were several adult-only areas on board that were peaceful and lovely. Adults have their own pool area, several outdoor seating areas, and an array of creative bars Austin and I enjoyed exploring. 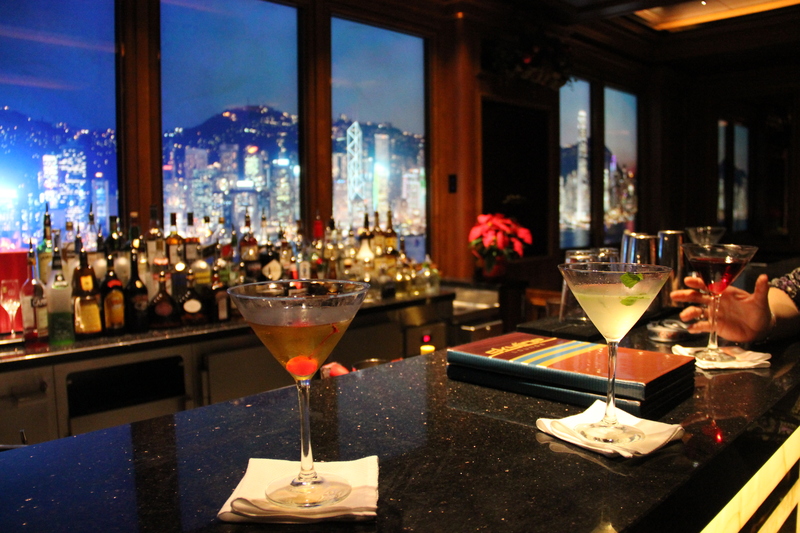 Our favorites included a martini bar whose windows alternated views of different city scenes and a champagne bar modeled after the inside of a pink champagne bottle. And did I mention the water coaster? No, it’s not a slide. It’s a water-propelled coaster that takes you up, down, around, across, and even over the edge of the ship. Austin quickly proclaimed this to be his favorite feature. 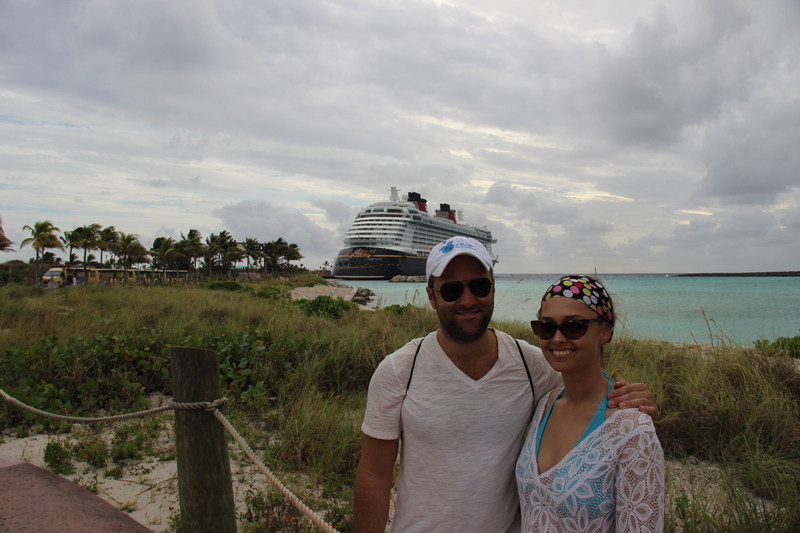 After our day in Nassau, we found ourselves docked at Castaway Cay, Disney’s private island. Here we were again greeted by a huge assortment of potential activities. We started out by taking the tram to the gorgeous adult-only beach, where we rented a cabana that came with a hammock, a covered deck and indoor seating area, complementary snacks, drinks, sunscreen, bicycles, and even someone who will drive you to the bathroom (which was very close, by the way). After a morning of lounging beachside, Austin and I headed to the adult-only eating area, where they had set up a magnificent barbecue buffet complete with burgers, hot dogs, bratwurst, and amazing, fall-off-the-bone spare ribs. We really had only intended to take a look at the food, having already indulged in a pretty heavy breakfast back on the ship, but how could we resist a temptation like that? We did our best to keep things in moderation, but decided to head out for a bike ride after lunch to burn off some calories (you know… just in case). There are several miles of paved bike path on the island that made for very easy riding, so we explored all of it before heading to the family beach area, where Austin had spotted a floating waterslide he needed to check out. As can be expected, we tested the waterslide for… you know, safety, and then headed back to our private cabana for a little more relaxing before it was time to go back to the ship. All four of us opted to skip the tram and bike back, appealing to our childhood selves and trying our best to burn a few calories while we were at it. The adult-only areas, the bikes, the bbq, the slide – that was only the tip of the iceberg. 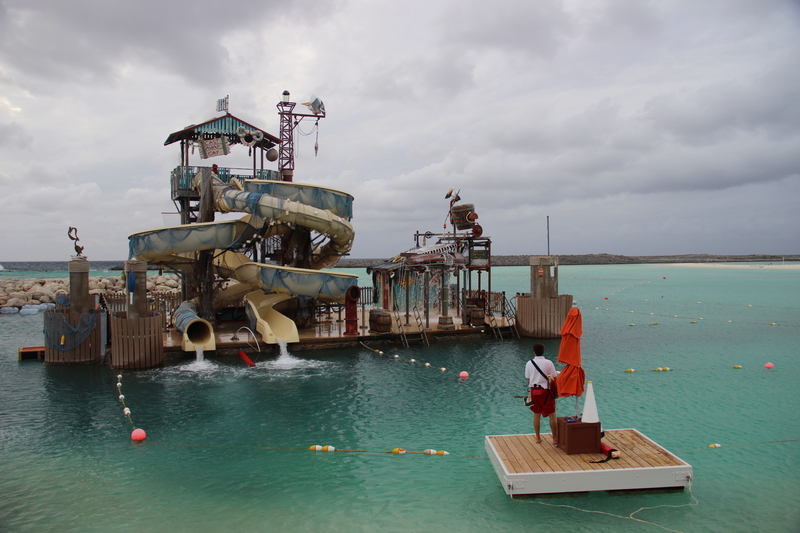 The island also includes a sting-ray experience, all sorts of boats to rent, a man made, Disney-themed reef to snorkel, and a jungle gym built right over the ocean. You could have stranded me there quite happily. 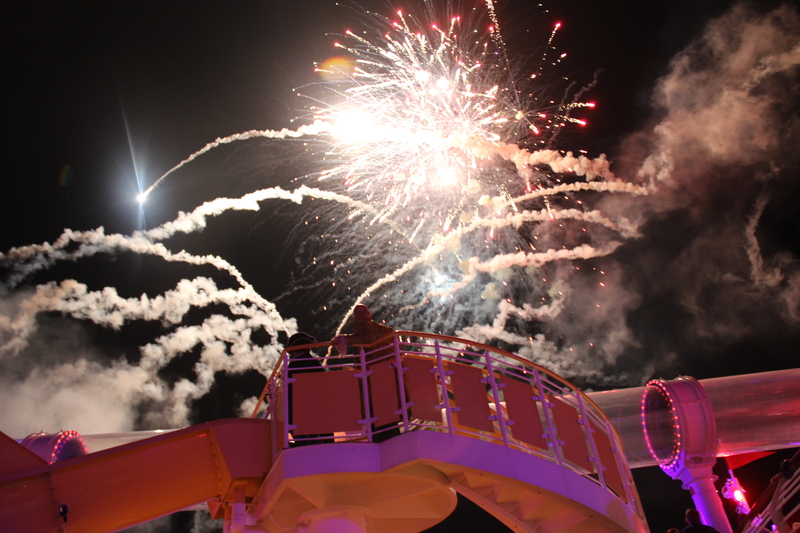 Disney is the only cruise line allowed to set fireworks off from their ships while at sea. How cool is that?? Disney certainly made my dreams come true aboard The Dream. 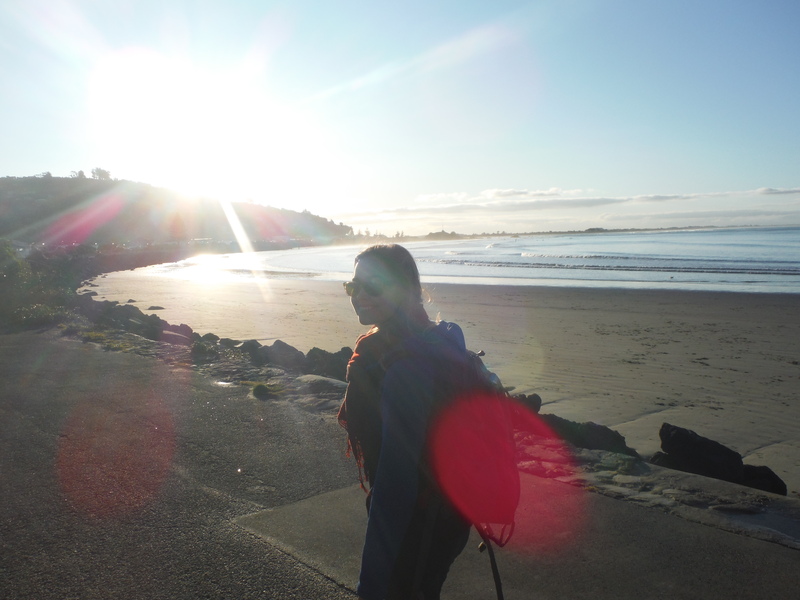 Now I’m off to wish upon that star so that maybe, just maybe…. Mariana, how much fun!!! A great way to celebrate your 25th Birthday. Happy, Happy. We sure should send this to Disney Cruise advertiser….they will give you a free cruise for 2 after all this wonderful post!